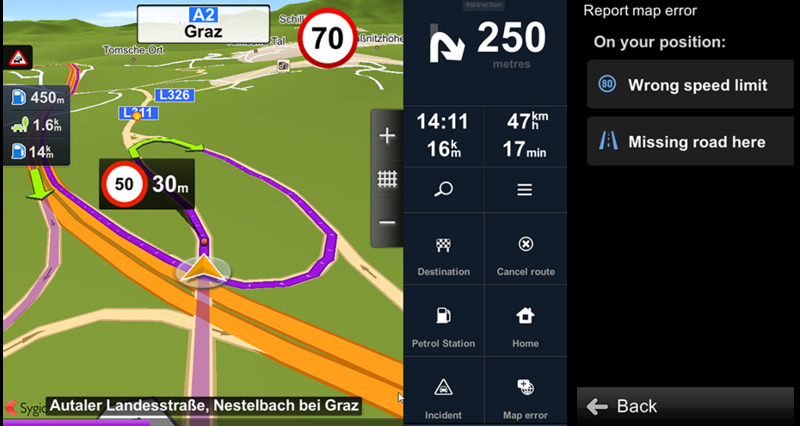 The new Sygic Professional Navigation Release 13.6.5. introduces fast map error reporting directly from the navigation, the possibility to restrict problematic roads on the map and many other features enhancing the user experience and interaction with the navigation. 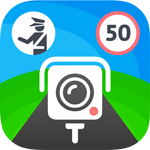 Drivers can now report map errors (wrong speed limit, wrong road direction, etc.) with just few clicks directly from the navigation. Once the device is connected to wifi, the error will be sent to the map provider, who can correct the error in the next releases. 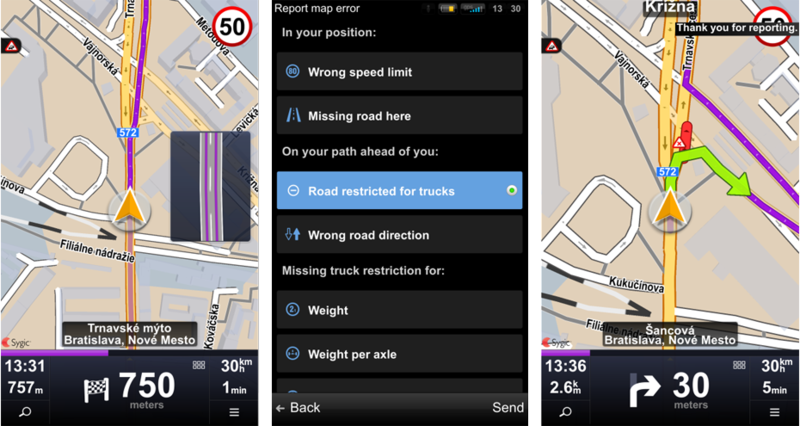 Drivers can also indicate which roads are restricted for trucks if the restrictions are missing on the map. The navigation takes the restrictions into account and navigates the driver around the restrictions. Restrictions can be easily removed in the navigation menu when needed. This allows integrators to customize the menu by choosing which buttons will be visible and which will be hidden from the drivers. The menu set-up stays the same even after update. More technical information about menu overload configuration.